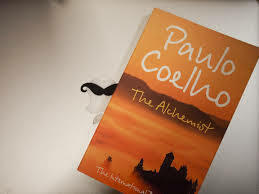 In Paulo Coelho's masterpiece novel The Alchemist, a young shepherd named Santiago sets out on a journey to discover his destiny. To do so, he must recognize and follow certain signs. Paulo calls this learning the language of omens. "You can only learn this language by making mistakes and by paying attention," he says. "So the universe is there teaching you the correct signs. And sometimes you'll take the wrong step, but then it will correct it. Oprah's interview with legendary author Paulo Coelho. Be prepared to have some ah-ha moments and life changing insights. What Is a Personal Legend—and Are You Living It? ​"If You Think Big, Your World Will Be Big"
​Are You Hiding from Your Calling?